stickboybike: Thoms Bread it's just so good! Thoms Bread it's just so good! I've succeeded in pushing a local cyclist down the Italian bicycle rabbit hole. As a token of thanks for finding a sick deal on a pre-owned Infinito frame set, I received a warm loaf of Rosemary bread from local Lancaster bakery, Thoms Bread. 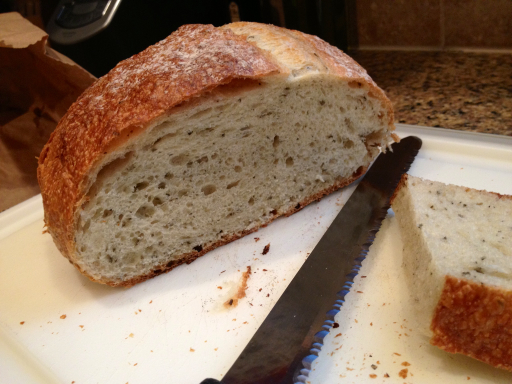 I devoured the first half of the bread with a dipping bowl of Carrapelli and fresh ground pepper. The kids loved it too.